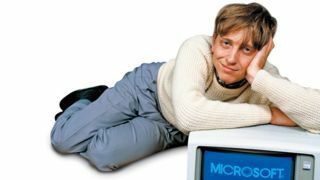 "It was a mistake," Bill Gates has said of the three-key ctrl+alt+delete combo required to log into Windows PCs. Not Microsoft's fault though, of course: "We could have had a single button, but the guy who did the IBM keyboard design didn't wanna give us our single button." It only takes one click to blip.